Six Ways to Improve Your Balance as a Group Leader Leading a successful small group is like walking a tightrope. You traverse a taut, exciting line, balancing the dynamic tensions characteristic of every group. Drawing from the concept of "polarity management," Bill Donahue and Russ Robinson help you understand and deal with six dynamic areas every group leader must manage in order to create genuine, transforming small group community. ;Your group is in for unprecedented connection and growth when you harness the interplay between * Truth and Life * Care and Discipleship * Friendship and Accountability * Kindness and Confrontation * Task and People * Openness and Intimacy Effective, life-giving small groups learn how to embrace both ends of each continuum. Walking the Small Group Tightrope will strengthen your sense of balance, help you gain confidence as a leader, and show you how to release the untapped creative and relational energy in your group. Walking the Small Group Tightrope: Meeting the Challenges Every Group Faces by Bill Donahue;Russ Robinson was published by Zondervan in September 2003 and is our 28696th best seller. 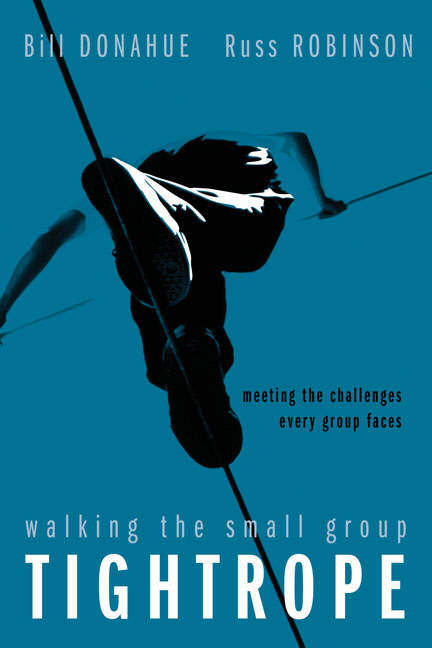 The ISBN for Walking the Small Group Tightrope: Meeting the Challenges Every Group Faces is 9780310252290. Be the first to review Walking the Small Group Tightrope: Meeting the Challenges Every Group Faces! Got a question? No problem! Just click here to ask us about Walking the Small Group Tightrope: Meeting the Challenges Every Group Faces.